Our local Magic Carpet Cleaning services in Regents Park are what you need to keep your carpets cleaned the year around. Our professional carpet cleaners use the most recommended steam cleaning methods. One of them the hot water extraction has tremendous potential and is effective against embedded dirt and stubborn staining and blemishes. Dial today 020 8861 0979 and enjoy a clean carpet even the same day. 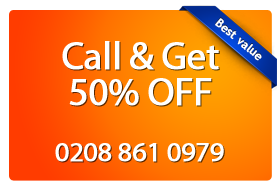 Along you get an absolutely free quote on all of our services in Regents Park. Don’t delay but contact us now for really great clean for your carpet! The region of Regent’s Park Estate (NW1) is mainly residential and has houses in the design of the 1950s.There furnished homes are old and require proper care to maintain the dignity of houses. Magic Carpet Cleaning in Regent’s Park Estate (NW1) provides excellent services for carpet cleaning and even old carpets get a makeover and the vintage collection is able to show a spark of modernity. This housing estate requires homely touch for the carpets of new houses. Once in a while all the carpets have to be cleaned thoroughly and vacuum cleaning by Magic Carpet Cleaning technicians in Regent’s Park Estate (NW1) will produce effects that were never seen before with your carpets. Stains and dust kill away the life of carpets but Magic Carpet Cleaning in Regent’s Park Estate (NW1) is here to offer them a lifeline at a competitive cost. Dial 020 8861 0979 and we will respond with a free carpet cleaning price quote coming with no obligations whatsoever for you. Our friendly back office support team will guide you through the booking process and give answers to all of your questions about our services, terms and methods. We at Magic are committed to deliver only top-quality services no matter what! There isn’t a stain or job we will decline!